An investigation by TheJournal.ie and OpenDemocracy has found that at least two pro-life groups have applied for copies of the register for different local authorities. PRO-LIFE GROUPS advocating for a No vote in the upcoming referendum obtained copies of the full Electoral Register with the names and addresses of voters in a number of counties across the country. An investigation by TheJournal.ie and news website openDemocracy has found that at least two pro-life groups have obtained copies of the register for a number of different local authorities across the country. The Electoral Register contains the name and address of anyone registered to vote in a specific constituency, and is arranged by area. Under electoral law, political parties and elected officials – as well as certain Approved Bodies – are allowed access to the register. The Pro Life Campaign and Family & Life (which campaigns as Protect the 8th) have secured copies of the register in at least five electoral constituencies between them – meaning the names and addresses of thousands of voters. TheJournal.ie and openDemocracy have confirmed that the Pro-Life Campaign got copies of the register for Kildare, Sligo, Waterford and South Dublin County Council. Meanwhile, Family & Life obtained copies of the register for Waterford, Sligo and Leitrim. As well as this, two unnamed pro-life groups applied for copies in Longford. Other local authorities either did not reveal who had applied for copies in their area, or did not respond to requests for comment. In the event of a referendum, Approved Bodies with the Referendum Commission are able to apply for access to the full Electoral Register, which is not available to the general public in full. The list of Approved Bodies as of 11 May is available here. Most (but not all) of the major campaigns advocating for either a Yes or No vote are registered as Approved Bodies. Approved Bodies are allowed to appoint officials to attend the counting of ballots count day as well as appoint people on the day of the vote to ensure voter fraud isn’t taking place. On top of this, they are legally permitted to apply to local authorities for one copy of the Electoral Register for each constituency for free. All political parties on the Register of Political Parties are automatically qualified to be Approved Bodies. In order to be able to apply, other organisations must be governed by a constitution, a memorandum of association or other similar document or rules and must have a membership of at least 300 people. TheJournal.ie contacted each of the Approved Bodies for comment over whether they had applied to access the register and the reasons for doing it. Any use our canvassers have made of the electoral register is in full compliance with the law and similar to any other political party or campaign. TheJournal.ie asked follow up questions in relation to the use of the register, but no response was received at the time of publication. Repeated attempts were also made to contact Family & Life. TheJournal.ie enquired as to whether they had applied for the register and what use it was in campaigning – but despite multiple phone calls and emails, Family & Life did not respond. 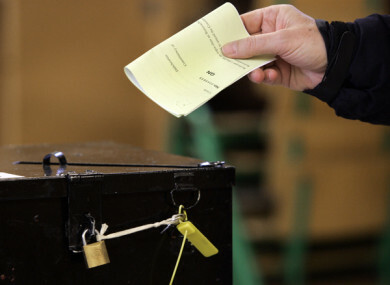 Two groups campaigning for a Yes vote – Amnesty International Ireland and Rosa – said that they had not made efforts to access the register, while no response was received from the other listed Approved Bodies. TheJournal.ie also contacted every local authority requesting information on which Approved Bodies have applied for copies of the register. While a number of local authorities listed who had obtained a copy, others said they could not reveal who had, due to data protection laws. Other local authorities had not responded to a request for information at the time of publication. The Electoral Register is used frequently by political parties and candidates for use as electoral research and canvassing. Elected officials and campaigners as well as general election candidates and Approved Bodies are granted access to the full register for use in electoral purposes. Other groups and people can pay a fee for a copy of the edited electoral register for use in marketing and other purposes. People are able to opt out of being on the edited register, but are not able to remove themselves from the full register if they are registered to vote. Political candidates use the register to target their canvassing efforts by area – to know how many voters are living in a household and improve their campaigning efforts. It has been described as an “important campaigning tool” by one elected official. There is an ongoing debate around transparency and elections and referendums in countries around the world. In the wake of the Brexit vote and the US presidential election focus was put on the use of big data to micro-target voters on social media. Transparency campaigners have been working to highlight the unregulated landscape of online advertising in Ireland ahead on this week’s Eighth Amendment referendum. “There are lots of reasons why campaigns might access electoral registries, but in the online era there are more pressing concerns,” said transparency campaigner Gavin Sheridan. “Registries are released in data formats, and it would be technically possible to relate vote registry data to social media accounts. There are also questions around what happens to the data once its released to registered third parties, how it is stored, and who has access to it – particularly with GDPR coming in. Sheridan said that current laws were not adequate to regulate modern electoral campaigns. “Our current laws are not adequate to regulate how modern online campaigns operate, and what obligations – either disclosure or transparency – are placed on online platforms, political parties and registered third parties,” he said. In the UK, a separate investigation by openDemocracy found that a company owned by Thomas Borwick obtained the electoral roll for almost half of Britain’s local authorities. Borwick runs another data analytics company known as Kanto, which was was employed by the Save The 8th campaign earlier this year to run data analytics. Borwick did not respond to a request for comment from TheJournal.ie in relation to the use of the Electoral Register in campaigning in the UK. A spokesperson for the Housing Department said that the full Electoral Register can only be used for electoral or other statutory purposes. “Section 13A of the Electoral Act 1992 provides that a person who uses, for a purpose other than electoral or other statutory purposes, information on the register of electors that is not part of the edited register, is guilty of an offence,” the spokesperson said. Email “Pro-life groups secured access to the names and addresses of Irish voters ahead of the referendum”. Feedback on “Pro-life groups secured access to the names and addresses of Irish voters ahead of the referendum”.